TO ALL COACHES: TPA MEMBERSHIPS EXPIRED AS OF DECEMBER 31, 2018. YOU MUST RENEW IN ORDER TO MAINTAIN YOUR ACTIVE STATUS. VISIT WWW.TPACANADA.COM AND CLICK "RENEW YOUR MEMBERSHIP". Is Your Club Pro Fully Certified? 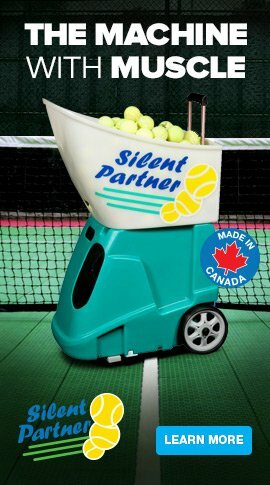 If he/she is, then his/her name will be posted on the list of certified coaches that appears on Tennis Canada's website. 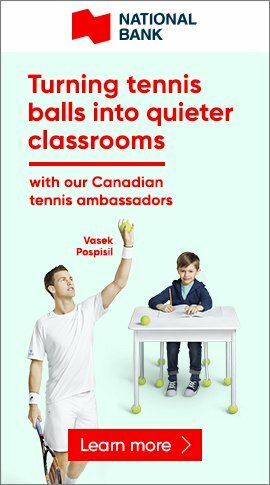 To check this out, please go to www.tenniscanada.com and go to the Tennis Professionals Association (TPA)/List of Certified Coaches page. If your pro's name is not listed there, then the person either does not have current certification and/or is not a current member of the TPA. In order for an instructor/coach to maintain his/her fully certified status, he/she is required to attend a professional development activity every 2, 3, or 4 years depending on his/her level of certification. This important feature ensures your pro is up to date with regard to teaching methodology. 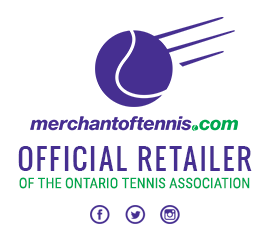 The Ontario Tennis Association currently has multiple openings for part-time Head Coaches and Assistant Instructors for a children's tennis program based in Scarborough. The program runs for 16 weeks from April to August 2019. Positions will remain open until filled. We thank all candidates for their interest, however, only those selected for an interview will be contacted. Total Tennis has been operating successful tennis programs in Aurora for 20 years. We are looking for strong candidates to add to our team. The successful candidates will demonstrate a strong commitment to excellence and offer experience supervising children. Past camp counselor experience is ideal and OTA Instructor Certification is preferred. The position offers full day or half day (morning) hours, weekdays in July and August. Training is provided with a focus on safety procedures and our proven camp day lesson plans. Each successful candidate will be required to have First Aid & CPR training as well as current policy vulnerable screening certificate (PVSC). Pay Rate to be based on qualifications and experience. Deadline to send resume is May 15. The University of Toronto Mississauga is recruiting Day Camp Instructors. We are looking for engaging, energetic and creative individuals. The camp instructors are responsible for providing children and youth aged 4 to 16 a positive, fun and safe camp experience. The prime role of the convenor will be to energize, organize and stimulate adult tennis members’ participation in recreational intra-club leagues, private round robins and tennis club socials. By introducing and developing creative concepts to service a wide-ranging demographic of ages, abilities, and schedules, the convenor will motivate and inspire both new and long term tennis members to engage in leagues and socials in a friendly, fun, communal spirit. The position will be available until filled with the right candidate. Moore Park Tennis Club in Toronto is looking to hire Tennis Instructors for the 2019 summer tennis season. Moore Park Tennis Club is located at Moore Avenue and Mount Pleasant Road in Moore Park. MPTC has 5 hard courts that were resurfaced in the Fall of 2018, lights for evening play, an online booking system and over 500 members. The club will be open from April to October. Please submit all resumes, with references to Matt Baccarani headpro@mooretennis.com, by April 7, 2019. We thank all applicants for their interest in our club. Only the applicants selected for an interview will be contacted. Applewood Tennis Club is one of Mississauga’s oldest community clubs- welcoming you with 6 floodlit hardcourts and a fully featured clubhouse. We are looking for a part-time attendant for the 2019 season (May 9th-October 14th). ACE Tennis is offering entry-level junior programs and camps at Bridlewood Tennis Club for the 2019 season! We are looking for an Assistant Professional to work with the Head Professional to run our red, orange and green ball programs and camps this spring and summer. Please send resume to Adam Dykes at adamdykes@acetennis.ca with reference to the job title in the subject line. The Beaumaris Yacht Club in beautiful Muskoka is looking to hire a motivated and energetic Assistant Tennis Professional for the 2019 summer tennis season. Beaumaris is located between Bracebridge and Port Carling on Lake Muskoka- a very unique private club on the lake with a social and friendly environment. Please contact Head Tennis Professional David Cysneiros with resume: d.cysneiros@gmail.com. Thank you to all applicants, suitable candidates will be contacted. Bayview Village Tennis Club (BVTC) in Toronto is looking to hire one Tennis Professional for a wide range of programs offered to its membership. This position is available (May 1st - end of September) to instruct Adult and Children private and group lessons, along with the tennis camp. Three Tennis Instructor Positions are available in the Summer Tennis Camp, June 17th- August 30th. BVTC has a strong and very successful reputation for tennis instructional development, built on a quality foundation for the past 32 years! All candidates must be certified, motivated and highly enthusiastic. Peter Nielsen Tennis Director, 12 Baymark Rd, Thornhill, ON, L3T 3X9: 905-889-7293, or send to: pnielsen889@rogers.com, before March 24. THE BOULEVARD CLUB in Toronto is looking to hire Tennis Instructors for 2019 summer tennis camp program. Please submit all resumes, with references to Paul Cairns tennis@boulevardclub.com, Tennis Director by April 3, 2019. Valley Tennis Club is seeking two self-motivated, outgoing, enthusiastic part-time Club Monitors for April 27-October 7 for 2-3 shifts/week (could be more in the spring and fall) including weekdays 3-9 pm and/or weekends 9 am – 5 pm. Please apply via email to info@valleytennisclub.com with your resume and cover letter to the club. The position of Assistant Tennis Professional at the Ojibway Club is an exciting position open to an enthusiastic and qualified tennis instructor for the months of July and August in Pointe Au Baril, Ontario. The Assistant Pro is primarily responsible for leading and delivering the tennis portion of the Ojibway Day Camp program from Mondays to Fridays. In addition, there are opportunities to deliver private and group lessons for both kids and adults when camp is not in session. ReadySetSports (Vaughan) is seeking part-time, the services of dynamic tennis coaches to teach our exciting community tennis programs. We are looking for reliable and punctual candidates, who enjoy coaching groups. Enthusiasm/Experience for teaching all ages and abilities. Would ideally be located in the Vaughan/York region area and needs to have own transport. The Sudbury Indoor Tennis Centre is the only indoor tennis facility in Northern Ontario, with four indoor and one outdoor court. SITC runs programs year-round, including an active junior program, a Tennis Academy and a variety of train and play programs. Ideal for an entrepreneurial tennis professional who is willing to work to grow tennis across Northern Ontario, including through partnership and outreach programs. The Club can provide an annual salary of $30,000 which includes approximately twenty-five hours per week of group lessons, summer and PD day camps, special events, program development and tournament organization. In addition, the Club Pro is strongly encouraged to build on an existing roster of private clients of various skill levels and to develop a school lesson program, based on a successful model in nearby North Bay, as supplementary sources of income. Send an email entitled Club Pro, with your cover letter and resume attached, to SITCBoard@gmail.com, Applications close at the end of March. Erin Tennis Club is a community club located 10 minutes west of Caledon in the village of Erin. We have 5 lighted hard courts with a modern clubhouse. Our focus is on community participation while providing an environment for skills development. Develop additional programs to encourage beginners to get out and play. The pro should be friendly, energetic, and well organized. Must be able to work weekdays, evenings, and weekends, have Tennis Canada Certification, be insured and a have a recent Police Check. All programs and lessons are operated by the pro and compensation comes directly from the participants. This opportunity can be ongoing in future years pending review. Manage customer service, client relations and sales of Tennis Central’s retail locations to ensure that all product merchandising, marketing and sales goals are achieved through the application of Tennis Central’s merchandising. Working with the Tennis Central team requires a passion for and knowledge of the clubs sports and a relentless desire to improve performance with the aim of creating the highest quality retail experience for all clients. Plans, organizes, instructs and leads tennis for adults, children, and youth. Ensures a positive and safe environment for participants and peers. Facilitates leads and supervises the program. Organizes and writes lesson plans to be handed in by week two of the program. Develops lesson plans specific to the abilities of each group. Reviews lesson plans with the Recreation Supervisor/Program Co-coordinator prior to class and submits at the end of each session. Prepares and organizes program equipment and supplies, maintaining an inventory of supplies, reporting to the Program Coordinator/Recreation Supervisor any items needing replacement. Keeps attendance records and checks with participants who have extended absences. Gives all new participant names that are not on the list to the Program Coordinator/Recreation Supervisor. Ensures safety at ALL times, enforcing safety regulations as set out by the City of Markham sports, fitness, arts and leisure programs policies and procedures. Ensures the site, equipment and supplies are appropriate to the activity and environment to reduce and minimize risk to other staff and participants. 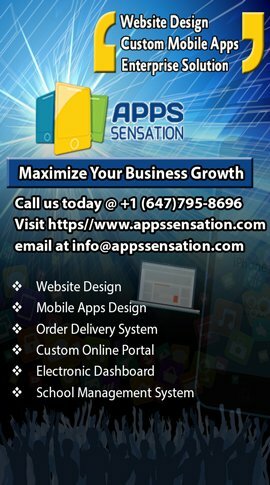 Ensures all program participants are aware of upcoming events, program changes or cancellations. Other awards/certifications as required. Evidence of demonstrated leadership in a particular sport at the high school level. Excellent verbal/written communication skills, leadership skills, customer service skills and sensitivity to interact with a diversity of patrons, parents and staff in a courteous and efficient manner. Management & Leadership: Demonstrates self-management, professionalism and engagement; leads by example. Please respect our scent-free area by not wearing scented products when visiting the office. The Glendon Athletic Club (GAC) in Toronto (Bayview and Lawrence Aves) requires a Junior Instructor for the 2019 summer tennis session (June, July and August). The GAC offers a comprehensive junior program including summer camps and adult programming. The Junior Instructor will work in a team to provide on and off court instruction to players of all skill levels in a camp format. Offering a competitive salary ($15-$17 per hour based on experience and job requirements). Possible extra revenues generated through junior and adult private lessons. Applications including a resume and references should be submitted to the attention of Aaron Rodrigues, GAC Racquets Professional, at the following email address: arodrigues@glendon.yorku.ca no later than Friday, March 22, 2019. The Royal Canadian Yacht Club in Toronto is looking to hire a Tennis Junior Coach for their 2019 Summer Tennis Camps. The RCYC tennis camp is located on the RCYC property on the Toronto Islands. A private RCYC ferry departs from 150 Cherry Street to take staff and members to the Island. The Camp environment is TEAM oriented, so all staff must be able to plan and work cooperatively with others. Reports to: Pro Shop Manager. The Pro Shop Attendant will be responsible for assisting members and guests with equipment purchases and inquiries, restring tennis and squash rackets and keep inventory up-to-date. They will ensure a clean, organized and friendly environment to improve customer experience. Complete member sales using DAXKO (CSI Software) system. Stocking shelves to ensure a full and professional product wall. Ensure inventory is up to date and accurate. Product knowledge with tennis and squash rackets, string type & tension. Product knowledge with tennis and squash hard goods and soft goods. Ability to restring tennis and squash rackets. Retail experience is an asset. Experience working in the private club industry. Experience working with Daxko POS software preferred. Advanced computer literacy (Word, Excel, PowerPoint, email). Must have excellent oral communication and interpersonal skills and must be able to interact with all levels of guests in a professional and cordial manner. Exceptional organizational/problem solving skills, must be self-motivated and detail oriented. Flexible shift availability including evenings, weekends and holidays. Due to the cyclical nature of the hospitality industry, employees may be required to work varying schedules to reflect the business needs of the club. In addition, attendance at all scheduled training sessions and meetings is required. Complete the requested WSIB Form 6 report, and return a copy to Human Resources. If medical attention required or lost time occurs, must have ongoing contact with Claims Manager, Department Manager and Human Resources to identify suitable work and actively participate in the return to work programs. Work in compliance with the provisions of the OHSA Act. Use or wear the equipment, protective devices or clothing that is required by the employer. Report to his/her supervisor or manager any defect in equipment or protective devices of which the worker is aware and which may endanger them or another worker. Report to his/her supervisor or manager any contravention of the OHSA Act or policy. Remove or make ineffective any protective devices required to be worn without providing an adequate temporary protective device and when the need for removing or making ineffective the protective device has stopped, the protective device shall be replaced immediately. Use or operate any equipment, machine or device on which he/she has not been trained to safety use. Work in a manner that may endanger him/herself or any other worker. Engage in any prank, contest, feat of strength, unnecessary running or rough and boisterous conduct. Hotel X (Toronto) recognizes its obligations under the Accessibility for Ontarians with Disabilities Act, 2005, and, upon request, will provide accommodation in the recruitment processes to the point of undue hardship. 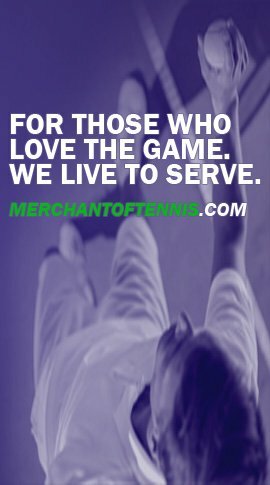 Tecumseh Tennis Club – TTC (Mississauga/Lorne Park area (West GTA), is a neighbourhood membership club with a friendly tennis & family atmosphere. For the past 10 years our Tennis Academy has run one of the best, and most consistent Junior Clinic, Summer Camp, and Adult Tennis School programs in the West End. We are looking for an enthusiastic and dedicated Coach/Instructor to be part of our team. Job Description: Looking for Coach/Instructors (From April to end of October preferably). Available positions – 2 Spring/ Summer and Fall seasons – April to September/October. Candidates must be committed & reliable! Have friendly attitude, love for teaching kids and be an asset to our Junior program. Qualifications- TPA- Tennis Canada/Progressive Tennis or other certification Equivalent are preferred. Candidates attending TPA/OTA certification programs are welcome. On Job training is provided. Remuneration- Based on Hourly fees for Clinics, Camps, Private Lessons, Round robins and Stringing. Own Transportation/living in the Mississauga/ West end GTA area preferred. Application deadlines for Spring and Summer- June 1st and June 30th . We thank all applicants and appreciate your interest. Those with suitable qualifications will be contacted. Westmount Golf & Country Club is currently seeking a skilled, passionate and highly motivated, seasonal Assistant Tennis Professional to join our team. Please submit your resume and cover letter to ljones@westmountgolf.com. ACE Tennis is offering entry level junior programs and camps at Bridlewood Tennis Club for the 2019 season! This new initiative is a great opportunity to help build the sport in the city introducing high-quality tennis programs and camps to the Scarborough area. We are looking for a Head Coach to run our red, orange and green ball programs and camps this spring and summer. This is a great opportunity to work with ACE Tennis, one of Canada’s leading tennis academies for 42 years. Application Deadline: March 25th, 2019, or once a suitable candidate has been found. Tennis NWT and Yellowknife Tennis Club are looking for a certified tennis professional (or certified instructor) to coordinate and deliver tennis programming in Yellowknife for summer 2019 (June 1 through August 31). Joshua Creek (Oakville) is currently searching for a vibrant, team-oriented and reliable tennis instructor to work in our afternoon and weekend programs for youth ages 10 and under. Compensation will be based on the candidate’s qualifications and experience. The Cottingham Tennis Club in Toronto (near St. Clair and Avenue Rd) is seeking a part-time Clubhouse Attendant for the Spring, Summer and Fall 2019 tennis season (mid-April through October). Dunlace Park Tennis Club in Toronto is looking to hire a Junior Tennis Coach. Are determined based on Junior Tennis Programs, Adult Programs and After School programs. Opportunity to teach private lessons as well. Book courts for members using Jegysoft software online. *Training will be provided. As part of TPTC policy, a condition of employment is to perform a criminal background check and a vulnerable sector search demonstrating a satisfactory criminal record prior to commencing employment. TPTC is committed to providing fair and accessible employment practices. If selected for an interview, we will be happy to work with you to ensure your interview is accessible and accommodation is provided based on the information you provide to the TPTC Recruiter. We are often looking for individuals for part-time employment in tennis administration.